The Boundless Thicket: Coffee: My favorite kind of bean! Ever since I was a freshman in high school, I have started each day with a cup of coffee without fail. So I naturally started looking up articles about caffeine for this project. I know about its effects being a coffee drinker and all, but I thought it would be interesting to look at it in terms of exercising. I have previously heard that drinking coffee can increase performance when doing an aerobic activity. I will be running a half marathon in June so I thought it would be neat to try and figure out if there was a good amount of coffee to drink prior to exercising so I could get my daily “fix” without getting sick during exercise. I also wanted to explore its biological effects. My initial search started off by simply typing “Caffeine” into Google search. I felt that the best way to start my quest was to better understand the substance I was studying. I quickly found out that caffeine was a “psychoactive drug” that improves alertness. The term “psychoactive drug” startled me a bit, so I looked it up and discovered it meant a chemical substance that can cross the blood-brain barrier, act on the central nervous system, and affect brain function. Caffeine is also one of the most widely used psychoactive drugs in the world and it is widely unregulated (3). Additionally, consumption of a large amount of caffeine (in excess of 250mg per day) can lead to a caffeine dependency or “caffeinism”. This was no surprise to me especially because although I do not consume that much caffeine each day, I do feel the unpleasant physical symptoms of not consuming my daily dose. Coffee consumption is also believed to reduce the risks of hepatocellular and endometrial cancer, but it may increase the risk of bladder cancer (2). Now I decided it was time to find the answer to my question. I came across an interesting paper after typing “caffeine’s effect on exercise” in Google Scholar titled “Exercise endurance 1, 3, and 6 h after caffeine ingestion in caffeine users and nonusers” by Douglas G. Bell, and Tom M. McLellan. In this paper, the researchers tried to examine the duration of caffeine’s ergogenic effect and whether it differs from users and nonusers. This study stated that caffeine is absorbed by the small intestines after 45-60 minutes after consumption. Upon absorption into blood, caffeine takes effect by increasing blood pressure, pulse rate, and stomach acid production. Additionally, the half-life of caffeine is 4-6 hours and caffeine can stay in the body for 3-4 hours. Most studies done before this have established that caffeine intake prior to exercise can boost performance because these studies only looked at performance after 1 hour; this study looks at 1, 3, and 6 hours after intake. In order to test this, the researchers invited 21 volunteers of whom 13 were regular caffeine users and 8 were not. The volunteers were subjected to six random exercise rides after which they were exhausted. The paper’s methods section properly describes the various cycling rides and their details. They measured the time from exercise to exhaustion after 1, 3, and 6 hours after giving a group of non-users and users a caffeine pill or a placebo pill. The exercise time varied between users and nonusers in terms of the ergogenic effect which was greater and longer lasting in nonusers. Among the users, they noted that caffeine use after 1 and 3 hours after ingestion in comparison to the group that consumed the placebo (users and non-users) had a higher time to exhaustion (1). The researchers of this study also noted that previous studies have tried to understand what the optimal dosage of caffeine would be. 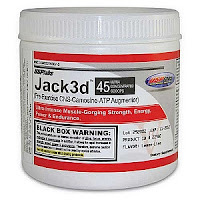 Studies have been conducted to test a wide range from 1-15 mg/kg of body weight. However, studies done more recently have established that the range between 3-6 mg/kg of body weight provides the same ergogenic effects as the higher doses (1). To answer my own question, I tried to do some math and calculated that I weigh approximately 108 lbs which means 48.987976 kg. The range of caffeine I should consume would be 147-294mg. To put it more into perspective, I looked at the label on the back of my coffee jar. 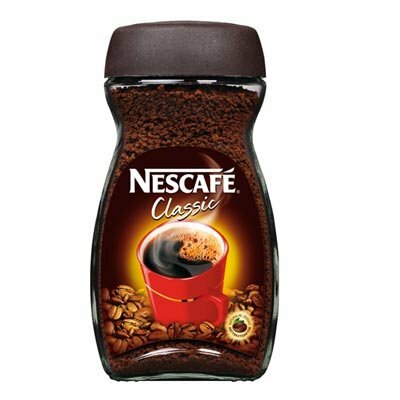 I start my day drinking Nescafe Classic (instant coffee) and it states that each serving (a teaspoon) contains 65mg of caffeine. I add about 1.5 teaspoons each day so I am consuming about 97.5 mg each morning. It really surprised me to find that the amount I consume is not really close to the optimal range that I could be consuming. Even though it is not close, I do not plan on increasing my dosage. This was a very interesting find, but the MCB side of me kept wondering which biological and chemical factors played a role this. As a random shot, I tried typing in “Caffeine” into Google scholar and came across a lecture given by Dr. Fredholm in Sweden. It was an old lecture but it was a starting point for me to dig further. 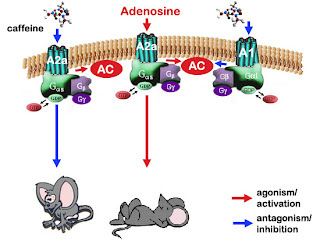 In the lecture, he says that caffeine acts as an antagonist to adenosine by binding to the adenosine receptor (4). 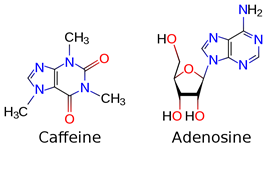 As you can see from the figure to the right, caffeine also looks very similar to adenosine so this wasn’t a surprise. Caffeine specifically binds to receptors A1 and A2A located in the basal ganglia (4). 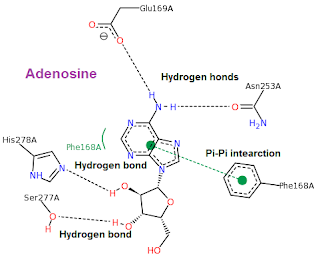 I remembered briefly learning about adenosine receptors when I was volunteering at Provena Covenant hospital in the cardiac catheterization lab. I was told that certain patients with heart conditions were administered a drug (can’t remember the name!) that basically acted as a ligand mimicked the effects of adenosine on the receptors and it helped to lower their heart rate. So more digging around on this topic led me to understanding that caffeine can easily cross the blood-brain barrier because it is water and lipid soluble. Also, caffeine does in fact act as a competitive inhibitor to adenosine receptors A1 and A2A. Instead of decreasing heart rate like adenosine binding to A1 does, caffeine causes an opposite effect and increases heart rate (2). Below is a JMOL depicting caffeine's interaction with the A2A receptor. 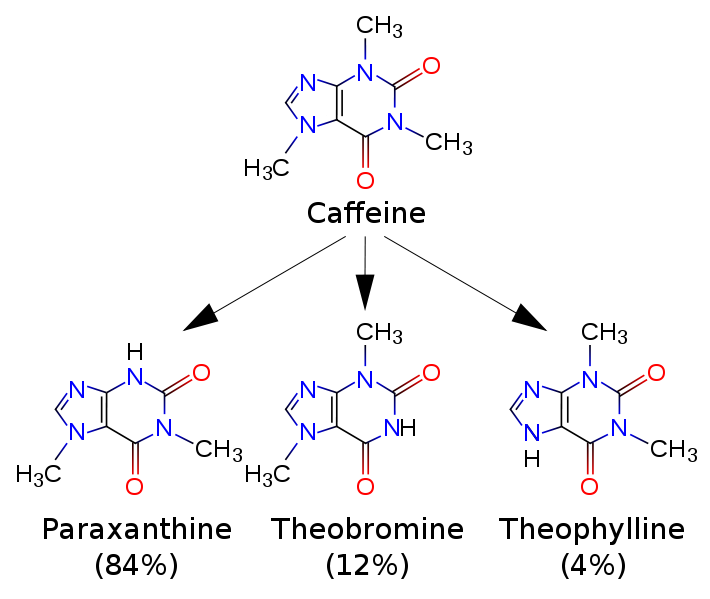 The diagrams below depict the chemical interactions that are in play inside the A2A receptor when the ligand is caffeine (top) and adenosine (below). 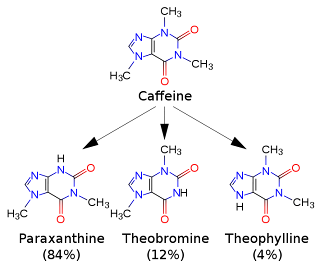 It is clear from these diagrams that a pi-pi interaction by Phe-168A is the main factor that holds both these compounds in place. Additionally, hydrogen bonds also tether the molecules in the active site. On an unrelated note, during our revision phase of our drafts, Dr. Moore sent me a link to an article written in the Royal Society of Chemistry. I have always been interested in neurological diseases like Alzheimer’s and found that research is being conducted to find a link to see if caffeine can lower the risks of getting Alzheimer’s disease. 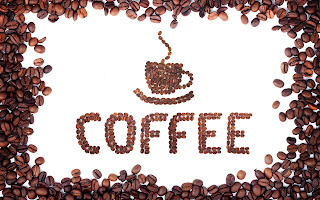 Since caffeine binds to the same receptors as adenosine, it is known to improve memory and speed. The fact that it is a non-selective antagonist at A1 and A2A adenosine receptors in the brain and heart, it has the opposite effect of adenosine (which promotes sleep). The theory is based on blocking the A2A receptors by caffeine which weakens the effects of the damage caused by beta-amyloid (a peptide that accumulates in the brain of Alzheimer’s patients). This study has only been conducted in mice that were engineered to have the disease and were given caffeine. 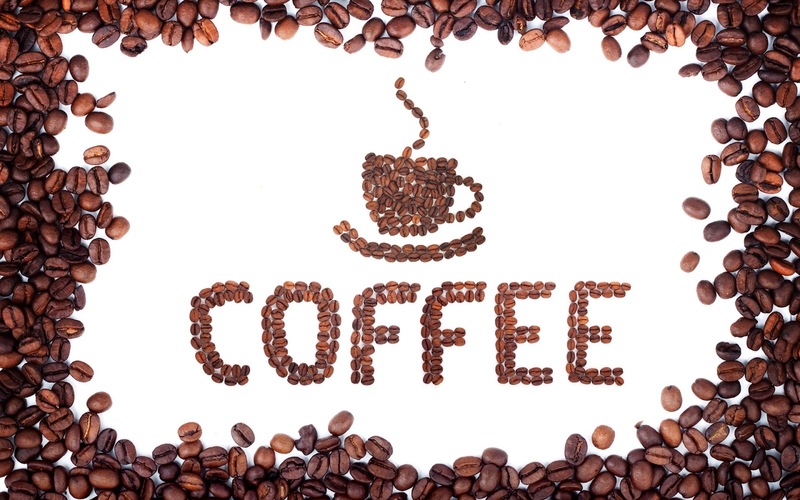 Human studies, however, have yet to show a strong link between caffeine and Alzheimer’s disease (2). Next, I wanted to explore the other metabolic effects that caffeine may play a role in. I found out that caffeine is metabolized in the liver and converted into three possible dimethylxanthines which have their own unique effect on the body. The largest majority of caffeine gets converted into Paraxanthine (~84%) and this molecule helps to increase lipolysis which leads to increased glycerol and free fatty acid levels in the blood. This abundance of glycerol and fatty acids can be used by the muscles as fuel and can actually yield twice as much energy than carbohydrates. From my Mechanism of Human Diseases course (MCB 493), I remembered learning that fatty acids can be easily converted into acetyl units via the beta oxidation process. 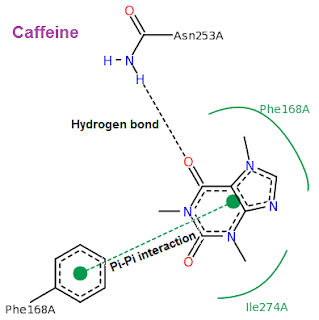 Caffeine can also be converted into Theobromine (~12%). This molecule is a vasodilator which helps to increase the amount of oxygen and nutrients that can reach the brain and muscles. It also helps to increase urine volume. I guess I have theobromine to thank and to blame for the all-nighters I have to pull sometimes to finish studying. Finally, a small amount of caffeine can also be turned into Theophylline (~4%) which helps to relax smooth muscles of the bronchi. It is commonly used to treat asthma in larger doses. It also acts as an inotrope (muscle contraction causing agent) which helps to increase heart rate and force of contraction (3). I now have a better understanding not only about caffeine, but also that it could help boost my performance about 1-3 hours after consuming coffee. I was able to better understand how caffeine actually affects the brain by mimicking adenosine and generating an opposite effect. While peer editing, my classmate Grace brought a very popular pre-workout supplement to my attention. 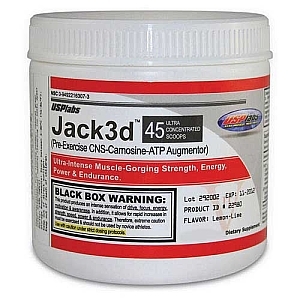 It is apparently a very popular product called “Jack3d” and it is consumed by weightlifters to provide them with energy and extra boost during workouts. I had never heard of this particular supplement so I looked it up online and found that the company believes they add about 100mg of caffeine (note: they believe) in every scoop. After more browsing through weightlifting forums, I discovered that most weightlifters take about 3-4 scoops (300-400 mg of caffeine!) prior to working out. No wonder many complained that they were facing horrible headaches and nausea after they ran out. Caffeine really is a psychoactive drug! (1). Bell DG, McLellan TM. 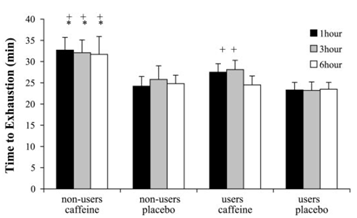 Exercise endurance 1, 3, and 6 h after caffeine ingestion in caffeine users and nonusers. J Appl Physiol 93: 1227–1234, 2002. (2). Davies, Emma. "Chemistry in every cup." Royal Society of Chemistry (May 2011): Web. 17 Apr. 2012. http://www.rsc.org/chemistryworld/Issues/ 2011/May/ChemistryInEveryCup.asp>. (3). Fisone, G, A Borgkvist, and A Usiello. "Caffeine as a psychomotor stimulant: mechanism of action." Cellular and Molecular Life Sciences 61.7 (2004): 857-872. SpringerLink. Web. 20 Apr. 2012. <http://dx.doi.org/10.1007/ s00018-003-3269-3>. I have linked your thoughtful discussion of caffeine as a psychomotor stimulant to my blog discussion of Bialetti coffee makers. I also love a good discussion of organic chemistry and found your diagrams particularly appealing. There are two major techniques to begin with using nootropic stacks. Click here for more interesting information on products - Elevate Brew by Elevacity.